The primary responsibility of the Shaman is to the Spirit of the client. To assist and enable the Spirit of the individual in its expression in the life of the client is of sole importance. All other concerns are secondary in nature. In the paradigm of Shamanism it is understood that the function of the soul is to guide and direct the body/mind into a course of life expression that is harmonious with the desire of the Spirit. Where the body/mind, and the consciousness thereof (ego), is thwarting that express movement of the soul towards growth and transformation, the soul registers this as discord. I do not treat ailments, diseases nor conditions. Rather, Shamanically, we operate from the understanding that we are each born with out Spirit’s Purpose intact. Then, through the situations of life – bad choices, misinformed choices, abuse perpetrated against us, exigencies of life, etc – we wander off course. it the gap that is created between how we are living our life and our Spirit’s Purpose, there do diseases, dysfunctions and debilitations arise. So, to the degree that a person comes into a greater degree of relationship with their original Spirit’s Purpose, that gap is narrowed. There is then a lesser field of opportunity for these diseases and dysfunctions to occur within, and the person will notice that the troublesome conditions begin to disappear. That is wholly a secondary effect of the treatment, and not its focus. Still, we say Yay! when that happens, but the real purpose is to aid and assist the person into coming into a greater degree of alignment with their own Spirit’s Purpose. The purpose of a Shamanic Empowerment is to re-establish the will of the client with the desire of the Spirit. Consequently, where the person is re-integrated with their own Spirit’s desire, the need of the manifest symptoms of discord may simply cease to exist. This is what some refer to, or even expect, as “healing”. 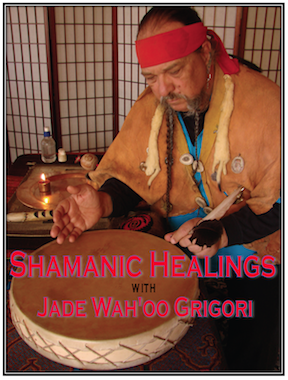 Each client must understand that this “healing” is not the purpose of Shamanic Empowerment, only a possible secondary result. The true measure of success in a Shamanic Empowerment is that the individual comes into harmony with their own Spirit’s purpose or direction. In a Shamanic Doctoring, the Shaman directs the forces of Nature and the Spirits to intercede on behalf of the client. This is brought about through Ceremony, spiritual counseling, meditations, herbs, and the Shaman’s innate understanding of the inherent principles underlying Spiritual Reality and human nature. The Shaman does not engage in therapy and analysis, nor indulge the client in their issues and stories. Each Shamanic Empowerment requires the minimum payment, at the time of the session, of $333.00 cash or credit card swipe. Because no one who sincerely needs help will be turned down for an Empowerment due to a lack of cash in the pocket, a person of indigent means may make alternative arrangements of payments and community service, by prior arrangement only. In honor of the sanctity of Woman, women in their ‘Moon-Time‘ will be asked to reschedule.